If you want to experience something special, that guarantees a holiday filled with spectacular scenery, history, culture, and entertainment, let me guide you through an interesting tour along the west coast of Portugal and Spain. 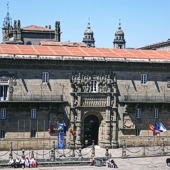 Staying in some of the most unique and luxurious accommodation, this round trip begins in Porto all the way to the stunning city of Santiago de Compostela, stopping at charming medieval towns and ports along the way. Portugal and Spain have protected many of their most precious historical buildings, by converting their castles, monasteries and palaces into luxury hotels, as a way of financially supporting their restoration. The Pousadas in Portugal and the Paradors of Spain are not only friendly and welcoming, but they are also renowned for their excellent cuisine. The trip makes use of the five night promotion of both hotel groups to reduce the cost. This promotion is available for reservations by email on the Paradors and Pousadas sites, but not usually available for online computer bookings. 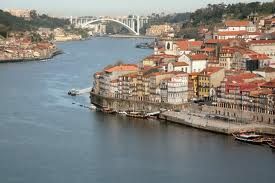 The start of this tour begins by flying into Porto, where you can pick up a hire car at very reasonable rates. Steeped in history, Porto is set in the hillside, along the banks of the Douro River. This picturesque town offers delightful river cruises, and a wine tasting experience in the Port Wine caves which should not to be missed. Two nights in a 19th Century palace, the Pousada Porto (Hotel Placio do Freixo) will give you time to explore this enchanting town, and by clicking on the following link you can get a real flavour of a weekend in Porto. Once you are ready to move on, less than an hours drive north, will bring you to the medieval town of Guimaraes, a world heritage site considered to be the birthplace of Portugal. August is a good time to go if you want to experience going back in time, as this is when they celebrate with a three day medieval festival. Other activities in the area include golf, horseback riding, and for the more adventurous, an opportunity to go micro lighting. Guimaraes has two Pousadas to choose from; the Hotel Nossa Senhora da Oliveira, which was originally a manor house in the historic centre, and the Hotel Santa Marinha, a converted 17th Century Augustinian convent on the outskirts of town. Continuing north is the well preserved medieval town of Pontevedra which will take about an hour and a half to reach. 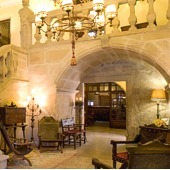 Treat yourself to a night in the elegant 16th century Renaissance palace, which is now the Parador Pontevedra(Hotel Casa del Baron) and once the home of the Counts of Maceda. Pontevedra’s weekly market in the town square and the lively plazas at night will give you a real taste of Spanish life. There are also unspoiled beaches nearby which have sailing, surfing, and other water sports available. From Pontevedra it takes less than an hour to get to one of Spain’s most treasured cities, Santiago de Compostela. For over 1,000 years, pilgrims have walked hundreds of kilometres on foot to reach the holy city where St James was buried. Dating back to the 400’s you will be astounded by its magnificent buildings. Being relatively small it is possible to walk virtually anywhere, with guided walking tours in the Old District. The city also has the oldest, and one of the most luxurious hotels in the world – the Parador Santiago de Compostela (Hotel Hostal dos Reis Catolicos). Pamper yourself with two nights in this five star hotel while you explore this amazing city. Having reached the farthest end of this tour it will be time to head south again to the port of Baiona. This was the first port in Europe to hear about the discovery of America, and today a replica of Columbus’ Pinta is permanently moored in the harbour. Its medieval fortress was built to protect the port from enemies and pirates. 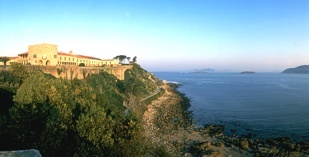 Within the walls of the fortress is the Parador Baiona (Hotel Conde de Gondomar), with a great view of yachts from all over the world moored in the marina below. Two nights in Baiona will give you time to take a ferry boat out to the Isle de Cies, where many visitors have enjoyed an afternoon at the bird sanctuary or just relaxing on the secluded beaches. Only an hour away is your final destination. Two nights in Viana do Castelo will give you time to enjoy the different activities in the area, ranging from bicycle tours to a round of golf at the Ponte de Lima golf course. 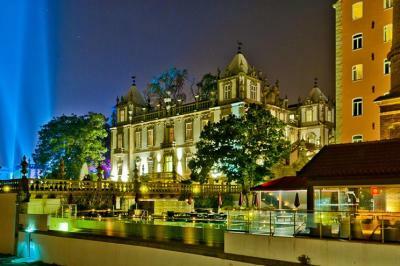 Without a doubt, the place to stay is the Pousada Viana do Castelo (Hotel Monte de Santa Luzia). National Geographic magazine described the view from this Pousada as one of the world’s finest, which makes it a very fitting end to this incredible holiday. You will certainly have covered a lot of ground on this tour, but hopefully it will have given you some insight as to how special these two countries are, and how much there is to see and do.